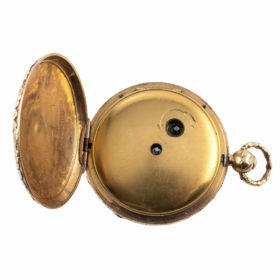 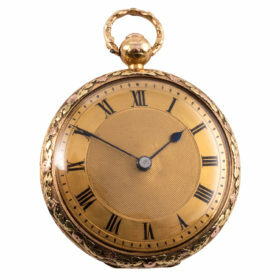 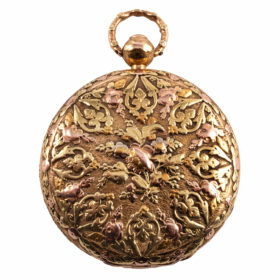 This English open face pocket watch signed Jackman & Son, Bath, England, features an 11 jewel movement. 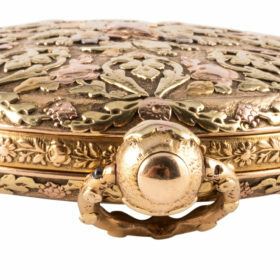 Intricate detail relief work in 18K tricolor gold adorns the case. 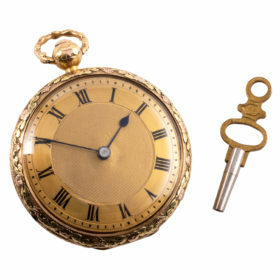 And a Breguet style, engine turned dial displays blued steel hands and Roman numerals.